Gucci’s New "The Bright Diamante"
Gucci’s Pre-Fall 2014 Collection is all about the subtle details, precision cuts and timeless sophistication. 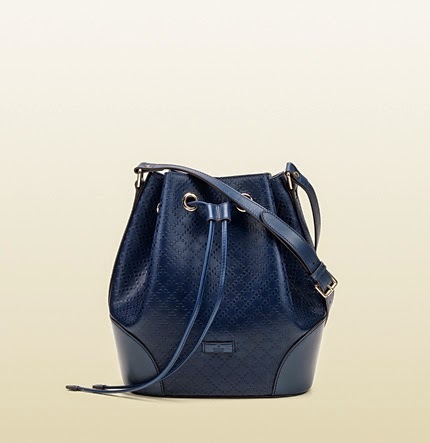 Set off by stylish accents, the outcome is a confident feminine design created in lightweight leather that has embossed the crisscross motif known as the Gucci monogram – the new Bright Diamante, depicting the typical yet sensible must-have of a Gucci woman of today. Aishwarya Rai Bachchan carried a Gucci Pre Fall 2014 large Bright Diamante leather tote in yellow at Nice airport. While at LAX airport in Los Angeles, actress Allison Williams carried a Gucci Pre Fall 2014 large Bright Diamante leather tote in yellow. Icon of sophistication, Anne Hathaway, carried a Gucci Pre Fall 2014 large Bright Diamante tote in great white leather spotted leaving at LAX airport. Gisele Bundchen carried a Gucci Pre Fall 2014 large Bright Diamante blue leather carry on duffle bag in New York City. Oscars Winner Julia Roberts carried a Gucci Pre Fall 2014 large Bright Diamante tote in black. Madonna carried a Gucci Pre Fall 2014 large Bright Diamante tote in black leather while out in Los Angeles. Out and about, these Hollywood icons gave justice to the genuine creation of Gucci. From the brightest yellow to the classic shades of black and white, it has been a perfect reflection of their chic style. 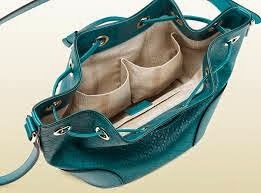 Revealing its practicality and durability, it will always be the luxurious handbag that an IT girl would desire to have. 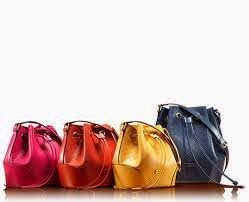 In the Philippines, Gucci is exclusively distributed by Stores Specialists, Inc. (SSI) and is located at Greenbelt 4, Ayala Center and Level 1, Shangri-La Plaza East Wing.